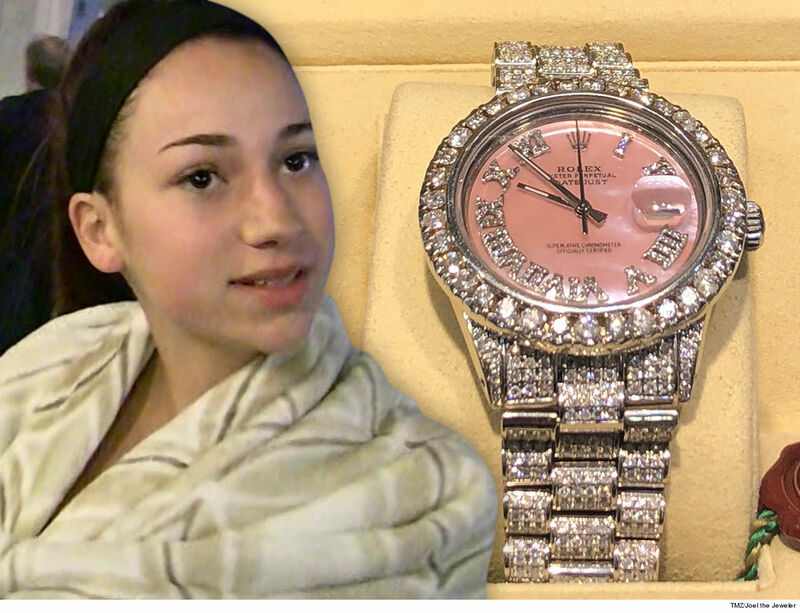 The teen has always wanted a Rolie but never got around to copping one for herself, and when TMZ caught up with her yesterday, she showed off her expensive birthday gift for the cameras. According to TMZ, the watch was commissioned by Joel the Jeweler in Los Angeles and is a Mother of Pearl Rolex that features 15.38 carats of VS diamonds around the band. There are another 1.5 carats of VS diamonds on the Roman numerals lining the face dial. That piece of jewelry’s estimated cost is around $42,000. So what’s next for the teenager who has a fat bank account and celebrity status? A car. Bregoli doesn’t have her driver’s license yet, but she told TMZ that she’s taken the “pre-test” online and passed, so she knows how to drive. She also said that once she’s on the road, she wants to buy herself a black Lamborghini but she feels as if it’s too loud. Bregoli wants to make sure she has a car that won’t drown out the music she plans on blasting while she’s on the highway. Surely her 16 million Instagram followers can’t wait to see photos of that.